This gorgeous mama made my job easy! Not only beautiful but she's cool and comfortable in front of the camera too! 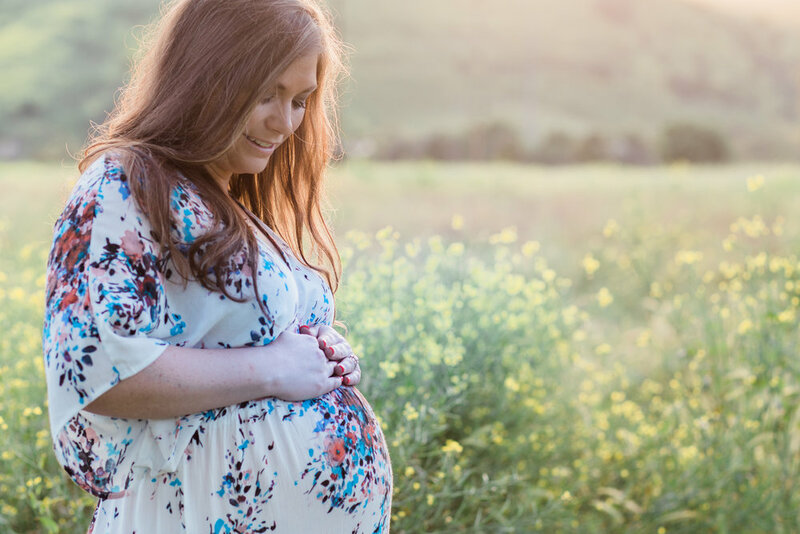 She opted for my newborn & maternity combo package so for her maternity session we did them at this stunning wildflower field in San Juan Capistrano. Yellow wildflowers galore, rolling hills and that beautiful baby bump made this the perfect scene for her maternity session. They brought their cute pup too! I always love when new parents bring their first 'baby' along with their sessions. That little pup is such a huge part of your life before baby comes that I love this moment being captured. Plus this golden doodle was SO well behaved!